Happy Mothers Day Weekend! Here at GrantWatch.com and its affiliates, we celebrate women with a gusto. As the old adage goes: Mother knows best. Your mother might tell you to keep your nose above the water by watching your finances, not taking out too many loans, and always coming in under budget. Well, if you’re a woman-run nonprofit or woman-owned small business, celebrate Mother’s Day with a subscription to GrantWatch.com. Women lead the pack in nonprofit leadership. In a study from the Women’s College of the University of Denver, researchers found 75% of the nonprofit workforce is women.This is contrasted by observing the business world where there are only 20 females who positioned themselves as CEO’s of Fortune 500 companies. Another study found that for women, a work-life balance is prioritized. And, nonprofits allow women leaders to have flexible schedules, which appeals to women. 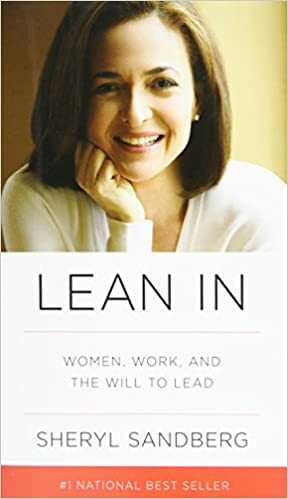 If you haven't heard of this popular book already, check out Lean In: Women, Work, and the Will to Lead by Sheryl Sandberg, the Chief Operating Officer at Facebook. She talks about her personal struggles to gain success as a woman and urges other women to drop the notion of being able to handle it all. She advises women to set boundaries in their lives. Or, why not potentiate your efforts at acquiring funds by opening up a women's crowdfunding campaign? It is like online fundraising. To set up a campaign, go to Uhelpfund and click “Create a Campaign.” Make sure you have a Stripe account before opening a crowdfunding campaign. This is because your account will be connected to your campaign so that you have a place to receive donations. So, honor your mom by applying for a grant instead of a loan. Remember, it is not necessary to repay grants. Then, consider getting help from a grant writer and compounding your efforts for funding by opening up a crowdfunding campaign!